The setting of a ring refers to the style of the diamond’s placement on the ring. Just like the selection of the diamond itself, there are a number of important factors to consider when selecting the setting of your diamond. Of course, the most important is to have your diamond set in a style you love. This ring is going to be worn for a lifetime so it has to be beautiful! Finding a setting you love – just like a diamond you love – is a journey. Start on the internet and find pictures on Pinterest and other sites of rings you love. Then go into a jeweller and start trying them on. It’s the best way to ensure the ring you fall in love with on the page is actually going to suit you. It also gives you a chance to talk to an expert about how the ring you love will work with your lifestyle, with the diamond you’ve chosen and with the metal you’ve chosen. Below are a few things to consider when looking at different diamond settings. You’ll need to consider the shape and style of your diamond. Certain shapes suit different types of settings, and depending on the cut, will look better in specific settings. And remember you can combine different settings together to create something unique. Choosing a diamond ring which complements your lifestyle and stone choice is important. Ultimately though, an engagement ring is a symbol of romance and happiness, so it has to make you happy! Before you commit to a setting, you also need to think about the practical side of wearing the ring – someone with a busy, active lifestyle may be better suited to a setting that protects the diamond and minimises the chances of it being knocked around. Someone with a busy, active lifestyle may be better suited to a setting that protects the diamond and minimises the chances of it being knocked around. At Whitakers, we’ve been working with couples for more than 100 years and we can offer the best advice, up-to-the-minute ideas on styles and trends and proven, expert information on anything you need to know about your diamond ring. We also pride ourselves on working with you to create a design that is uniquely you – an individual expression of your love and a stunning ring you’ll treasure forever. Bar setting: a diamond supported by vertical walls on two sides. Channel: diamonds set side by side, flush between two vertical strips. Halo: a setting that encircles a centre diamond in a ring of smaller diamonds. Invisible: diamonds placed closely in a row held by a concealed setting. Pavé: small diamonds set closely together to create an encrusted effect. Prong: a diamond held by claws. 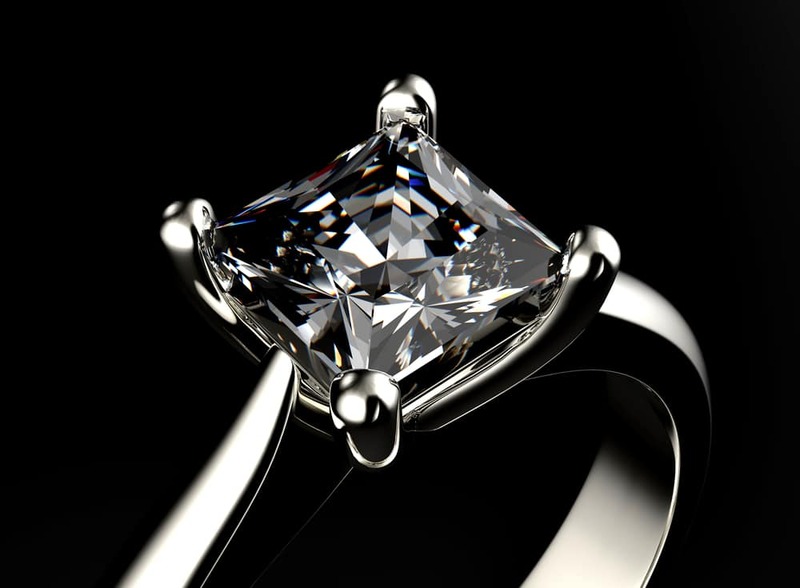 Solitaire: a single stone, usually mounted with prongs. Three stone: three stones mounted in a row.